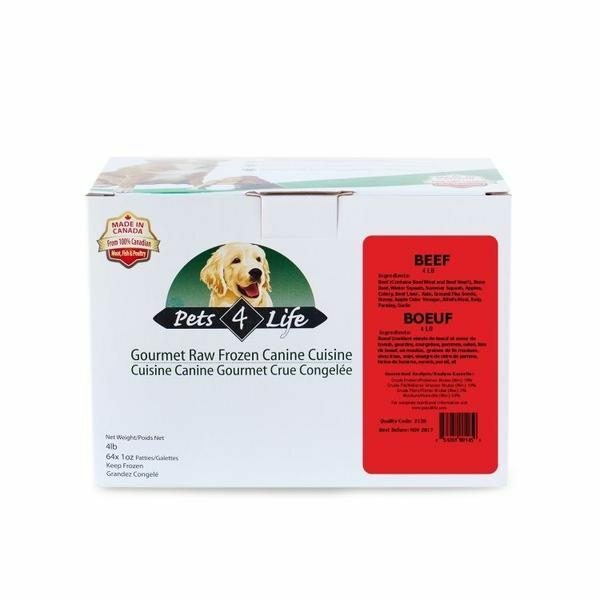 Our Beef PETS 4 LIFE Pet Cuisine is made with the absolute finest, federally inspected Grade ‘AAA’ Beef. Locally grown and raised in Norfolk County, Ontario, our beef is hormone free and absolutely natural. You can’t buy finer beef for yourself and your family – and you certainly can’t buy better for your pet! We add fresh locally sourced fruits and vegetables and top quality, human grade supplements, to make the most complete and balanced raw diet you can buy for your dog.